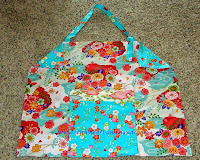 I love making aprons, potholders, counter and dish mats! But when it comes to most things, I wing the patterns on my own, publish tutorials for my own versions that usually combine techniques and ideas, and then include those ideas in all of the links to free patterns that I collect and share! 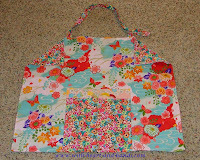 An apron is not something you might ordinarily make yourself, but its wonderful to have on hand when you need one! And they are way cute to wear when you're cooking for company... or just are wearing something new or nice that you don't want to get a spill on! And best of all, they've been a big hit as gifts!! (see its little lifting up and down pull tab?). Once I get one set designed and made, I can't help myself...I have to make more and I create multiple sets in no time at all! So, one year...three sets, another year...a repeat for anyone who has really used their apron or potholders and needs a new set...you get the idea!!! And when I'm in a hurry, it's lovely to have a simple printed panel from a discount fabric store on hand. 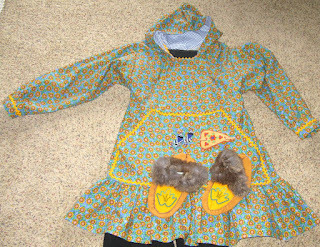 This one was from the Daisy Kingdom line and it was sooo popular one Christmas in Alaska, that I had two sisters-in-laws literally fighting over it! The victor wore it quite literally all day long, even when she was eating Christmas dinner and just visiting with our big family. Oh, yes! Show off your victory big time, Becky!That's the year I knew I had a great gift that was truly appreciated! Unfortunately, Daisy Kingdom closed a number of years ago, but you can still find their various pre-printed pieces online, at tag sales, and often in free share fabric tables. I grew up in Alaska, and the native Alaskans especially of the northern and north western areas make and wore kuspuks. But what most people don't realize is that this is not a 'dress' or a 'jacket' as most people assume. It was actually an apron of sorts. Women and girls wore the long version...with a skirt ruffle..over their other clothing to protect that clothing from the hard work of cleaning fish, seals etc. for food, clothing, lamp oil and other means of survival. For many years, I helped a SIL teach grade school children(and their parents) how to make these, designing our own non standard math 'non patterns'...measuring lengths and cutting to size. My other links included in that post show many years of this great project, our wearing of them to visit the Governor and his family in Juneau Alaska, and how we were not only featured in the Alaska Daily Empire but online and referenced during a legislative session for Kuspuk Friday...when all of Alaska's legislator' literally wear kuspuks to work! And last but not least, nursing aprons or baby coverups that I have made for several wonderful mom's who have chosen natural baby feeding, but still want to be discrete in public for others! 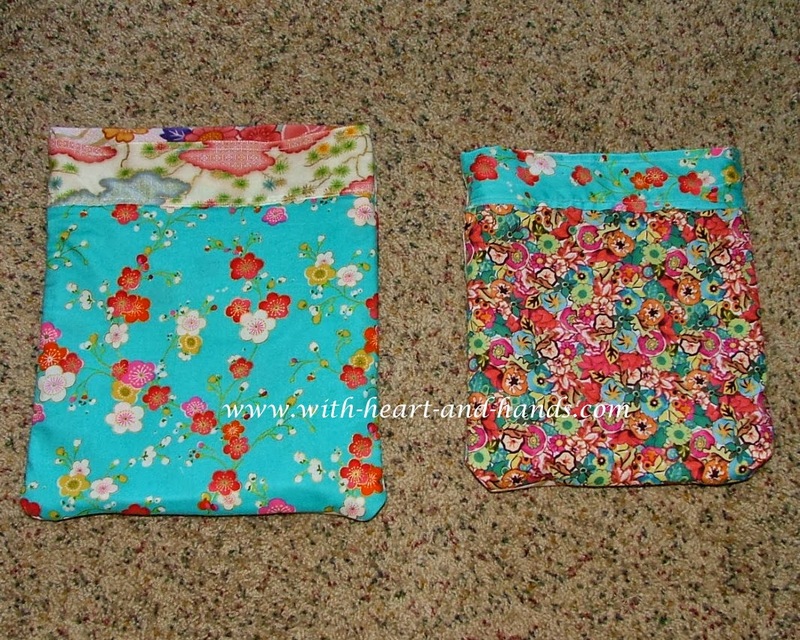 I created my own patterns and they are both reversible and can be pocket pouched just like a quillow so they fold up for carrying and look like a little pouch! Yes, the entire nursing apron is folded up using my special tutorial technique into that little pocket! (Two sizes of aprons for two sizes of little mamas...one mama is super extra small and one a medium so I designed the aprons to be just the right size!) And, you can use my idea for any kind of pocket pouched apron! And here is my ongoing list of links, tutorials etc for making a variety of aprons...from full length bib aprons, to simple skirt front aprons, to nursing cover up aprons for feeding baby discretely. I'm still in the process of finding links and don't have all of the photos yet..but you can surely find something that will work for you and if not...be inspired to come up with one of your own! 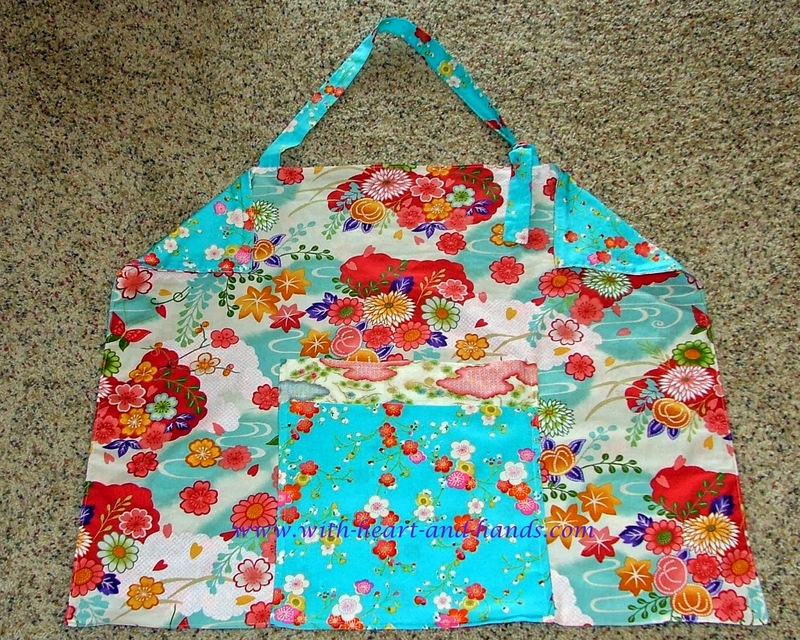 Sew A Clean Sweep Apron! 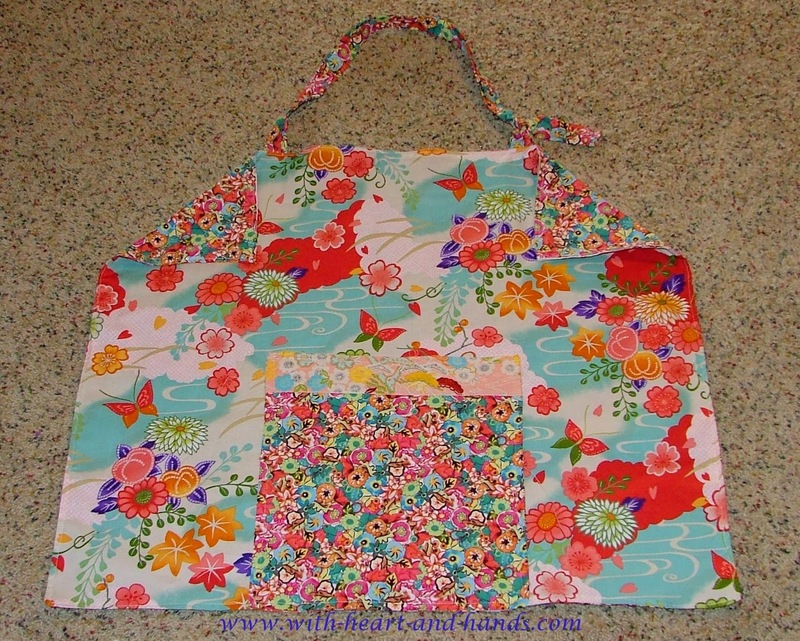 More Apron Patterns and Ideas and Tips! Potholders, Counter Cloths, Mug and Coffee Press Wrap ...Patterns, tutorials and just plain blog and sewing and quilting fun! Yes, I Still Sew and Quilt ! 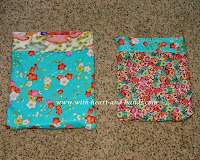 Frugal Fun: Make a Potholder! And never miss a single sensational post !!!!!!!! Thanks for the links. I wear an apron most of the time while I am preparing supper. I like a bibbed apron. In the past, I have made many for gifts. I especially like to include a matching apron for the children of the giftee. I like the idea of matching hot pads. aren't these adorable?!!! who wouldn't love such a gift? I never feel motivated to spend my time on making such items but I know and appreciate the value of wearing an apron when I am cooking especially with anything to do with putting food into hot oil! thanks so much Michele for all the hard work you put into adapting "your" approach to patterns.